Lenova launched its new Android voice calling tablet, IdeaPad A1000 now available in India. It was announced earlier this year at the MWC event 2013. It features a 7-inch TFT capacitive touch screen with 1024x600 pixels resolution. It runs on Android 4.1 Jelly Bean operating system and powered by 1.2 GHz dual core MediaTek processor with 1 GB DDR2 RAM. 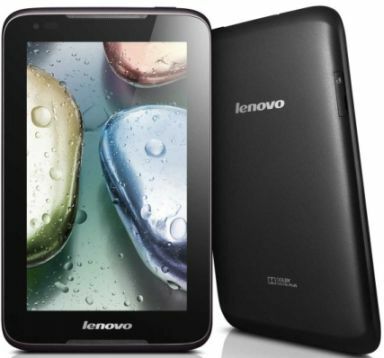 Lenova IdeaPad A1000 comes with a Sim Card slot with 2G data support and voice calling features. It has 4 GB of internal memory and expandable memory can be extended up to 32 GB with microSD cards. It comes with a 5 MP rear camera and also 0.3 MP front facing VGA camera for video chatting. The connectivity options are 2G, 3G via Dongle, Wi-Fi, Bluetooth and microUSB. The tablet is packed with 3500 mAh battery provides up to 7 hours of talk time. Lenova IdeaPad A1000 comes in Black color and officially priced at Rs. 8980. The tablet now available on popular online retailers and also on Lenovo official site.